Edgenet enables manufacturers, brands and retailers to organize, manage and publish rich product content across all of their selling channels. The customer service is what sold me on EN. Out of 5 companies I researched - and subsequently reached out to - they were the only ones to respond at all. I dislike that our (the vendor) item number is not displayed next to the GTINs in the GDSN items tab so I can tell at a glance which items belong to the GTIN. The staff is anxious to be of service. They are extremely knowledgeable in troubleshooting, and provide clear instructions on what to do. The facility is cutting edge, and the people work great as a team to deliver the best possible experience they can to their customers. Currently, we are using EN to store our item data to be a central location for onboarding distributors as opposed to creating multiple files for each one. Benefits include the ability to group my items into categories to update/make changes without having to search. Also, the ability to see errors in red help me quickly navigate to the problem to fix it. I received a lot of new and helpful information, in addition to that Edgenet Team is always very helpful and supportive. During the workshop about GDSN, the presenter Mark O. explained very clear and concise how it works and helped me to understand issues about it that I've been having with some of our retailer customers, he even took the time after the workshop to answer the rest of my questions. As a suggestion please test room speakers before training starts so the audience gets to watch videos during presentations and have computer battery handy in case is needed. Currently we update each one of our retailers through their portal, that is a lot of work, Edgenet will help us collect, manage and share our product data to retailers, all data will be consolidated in 1 single source. The Edgenet team is truly a collaborative business partner and LISTENS to its" customers. Edgenet as an organization is customer centric - support is top notch. Additionally I think that Edgenet as a software company is on the cutting edge and constantly strives to improve their products. Our company has been with Edgenet for the past year and I cannot honestly tell you there is anything I dislike. Edgenet takes customer feedback very seriously and is extremely responsive. The only thing I can say I dislike: Upgrade to most recent version of Google Chrome. I have to login with IE. Become an Enterprise user. It makes absolute sense to publish both GDSN and Marketing content with one software supplier. Scotts utilizes Edgenet to publish GDSN product data and Marketing content. Customer support is always a big one for me and the team at Edgenet really rocks at it. The product itself is a lot more user friendly than when I started using it. 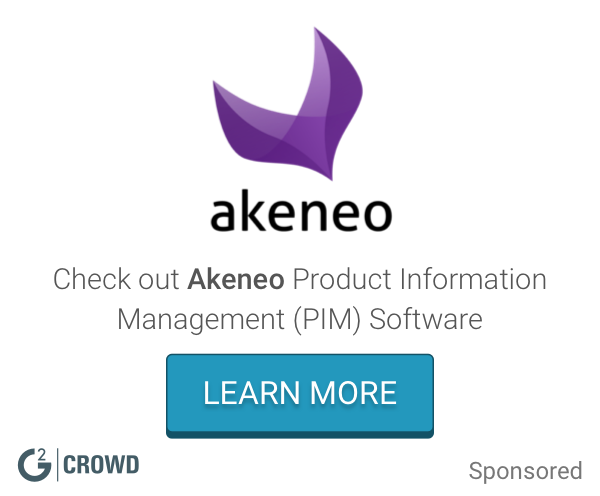 Finally, I like how they're looking forward and trying to connect with their customers to improve the application and create new products that solve our data synchronization challenges. A couple of years ago I was using the Edgenet portal on a daily basis and I struggled with the speed issues. I think they've made a lot of improvement since. I don't mind having to use windows explorer, but I would prefer if it was fully functional on Google Chrome. We use two Edgenet products; GDSN to synchronize our products, PCc (Product Content Cloud) to standardize, store, and syndicate our products. Their products are just part of the benefits of working with Edgenet, what you'll really like is the team behind the products. We're able to provide our core and commerce data to our customers. The biggest benefit for us is having a platform to store and standardize our data, while making it easy to use and distribute to our customers. Edgenet is a company that is dedicated to help their customers learn how to use their product. There are many companies that create a product and let their customers just figure it out, but not Edgenet, they go out of their way to assist you in navigating the program and provide excellent training and consultation. Excellent customer service! I have had issues in the past with figuring out the layout and process of their supplier portal; however, as I stated before, Edgenet is very helpful and quick to teach there users best practices. Edgenet is a company that really cares about the quality of their product and the success of their users. Edgenet provides a unique interface where suppliers can input all of their product data, in an efficient manner, and have it distributed to their subscribed customers. Edgenet has the ability to synchronize with GDSN data, which is also a very helpful feature. Edgenet’s continuous innovation and development of new ways to make our product data more effective, as well as their partnership with other companies that improve the distribution of product data, are benefits of working with Edgenet that are proving to be essential in the growth of our business. "Edgenet - 360 Solution with the Customer Support to Match"
When I started at my current company, we only used Edgenet for a few customers. But as I learned the various GDSN interfaces and compared them to the full capabilities of Edgenet (marketing data sync and GDSN), I realized that our company could save time and money by converting all customers possible to Edgenet. The system is easy to use - yes, there are definitely a few tips and tricks that help speed editing but a quick call or email to any of their teams will get you an answer. Or utilizing their extensive reference library online. Their training events are also thorough and they make sure each customer is given individual attention to help work through questions with maintaining their own data. Utilizing their system has been a massive time saver. And knowing I can get help quickly gives me comfort that I can do my job efficiently. I highly recommend Edgenet and all their services. Their online training isn't the best. I feel like it could be better organized but I've been told that is a project they have planned. I look forward to the changes. Edgenet has 3 major components to their online suite: 1. GDSN, 2. PCc (Product Content Cloud), and 3. a solution for manufacturers of customizable goods (which my company does not utilize). The GDSN you can utilize for ANY customer - it does not matter if they have an account with Edgenet - they can receive data. For the PCc, customers must subscribe to your data. There is a lot of crossover, so if you set-up an item for GDSN, you can turn on PCc data with click of the mouse and vice versa. You'll have to fill-in more data, but their system shares whatever it can to limit your data entry. Also, their system is very flexible. Whenever we feel criteria should be different for product data (we are very specific in how we state things because our product interacts with various fuels), Edgenet will work with you to make the changes. But they are conscious of what effect this may have and will discuss with you to make sure the change is appropriate. They definitely feel more like a partner than a vendor. We have a very large customer base and a large number of products. By utilizing the GDSN and marketing data sync of Edgenet we can save time and more quickly guarantee accuracy by having one location to host the majority of our data. There is also a large amount of visibility to errors that allows you to work through your own troubleshooting instantly, versus waiting for a report to be sent to you, editing, resubmitting. Edgenet is a one-stop-shop to get your product in front of your customers. The learning might be a little long without the proper training but once you get the hang of it, it's pretty straightforward. Definitely go to any training that Edgenet offers. It helps tremendously in understanding how the system works and how it all fits together. The team is a great asset and eager to help you maneuver through the system especially when you're first getting started. They are great at helping understand the difference between the PCc and the GDSN side of things which can be a little tricky at first. The improvements and additional things that are coming down the pipeline sound like they will make the experience even better. I look forward to working with them for a long time to come. I think it just makes it easier to get your data to the client. The process makes it easy for the customer to request product additions and it makes it easy to add product as a supplier. "Data Synchronization at it's finest!" I have been working with Edgenet for 10 years and fondly refer to their data requirements as the "standards" for marketing and technical data. The PCc Supplier Portal is easy to navigate and there are several options for populating or editing product data. I think the best is that one portal serves many recipients. Non-communicated requirement changes. While these changes are beneficial to our customers, the recipients of our data, it would be nice for these changes to be planned and communicated to the suppliers prior to implementation. I believe they are working on this so we look forward to the change. For our customers that use Edgenet services as a recipient of our data, keeping them current with updated product information and new product listings is crucial to doing business. Edgenet also helps us stay current with the data requirements as these are always changing. "Best data services provider ever!" Top notch customer service by every person at Edgenet. They will guide you through every step, making product data naturally beautiful. The old look and feel of the GDSN portal. But, I hear they are currently in the process of updating that portion of the system. This company is highly recommended. If you need a data services provider, definitely go with this one. They will provide the support needed to make the transition go smoothly. Getting data to our customers is the problem and Edgenet removes that barrier by providing data delivery of validated, accurate, precise and consistent data, which helps us protect our brands. Yes! We are currently working and designing the Next Generation PCc – stay tuned for more information on exciting new features in addition to a new look and feel! 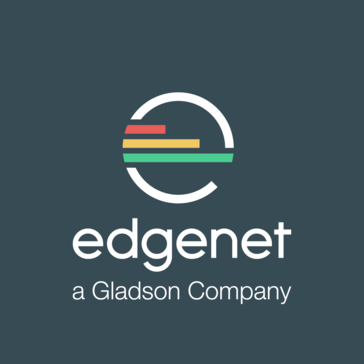 "Edgenet allowed us to elevate or PIES data to a whole new level. " It allows us to evaluate our data and shape it to exactly what our customer requires. It only supplies one customer/receiver for us. It would be of greater value if it feed numerous customers. As I said earlier, it would be great if more than one of our customer/receivers would participate in this program. In addition, we all talk about having one standards for the industry, but it still seems that everybody want their own version of a standard. This creates a lot of overlapping redundant work. It would be great to see a platform such as Edgenet be the leader in making this one standard a reality. This program allowed us to see exactly what type of data we were not supplying. You don't know what you don't know. It has raised our attribute (PIES) data from good to great. Edgenet is continuously focused on expanding our retailer network to add value to our suppliers. Thank you for taking the time to review us Rick and we appreciate your feedback. "I work with Edgenet for our customer, True Value." Edgenet is very easy to use, the online learning and Edgenet Academy are super helpful in getting to know how to use the portal, getting questions answered and enlightenment on things you didn't even know you could do! Everyone is willing to go the extra mile to get you what you need to succeed! If I get an error, it doesn't always tell me what I need to do to fix the error or it will tell me there is something missing, but doesn't show me what. They are working on that! Make sure you get a detailed list of what each of your customers required product attributes are, especially If you are using another company for your GDSN service such as 1WorldSync, This will make all the difference in how much time you spend going back and forth on the phone with technical service trying to figure out what you are missing when you get errors. Heck, it may even keep you from getting errors! Giving out customers access to our product information is key to our successful Ecommerce business. Edgenet provides that outlet. I like that information for several different subscribers are in the same place. There are hints for nearly every question. I can download all of the information and send to someone that is not a provider. I think putting on the Edgenet Academy was a terrific idea, I wish more companies would put this on. The system locks up quite often. Our company does not recommend Internet Explorer, they prefer Firefox, and Edgenet told me for the best performance they suggest Internet Explorer. I know several companies mentioned that at the Edgenet Academy. To save you have to have a certain score. Sometimes you are in the middle of adding info and you have to leave and are not able to save because of the score. I know I am not the only one that logs in and starts working without always reading the "News" on the front page. As an example, right now there is a paragraph about unites of measure changing. I mentioned that I wished they would let us know when they make changes to wording. I was told "Oh that is on our front page". Not sure what you can do to make people like me read but maybe a page that you have to acknowledge you have read the blurb before you can move on. So many times I have to go directly to a companies Web person with corrections or new information. I find it can take several days to months to get this taken care of. I am in charge through Edgenet and I can add products or correct information or add images and know that with in a day or two it will be changed on the customer website. I add information once and it gets populated on several subscribers Edgenet pages. Thank you for your feedback! We are currently working on a feature that could message important information to you on the page where it is relevant instead of announcements on the homepage. Hopefully, this will help provide you with the information you need at the time you need it! "My experience using Edgenet "
Edgenet makes working in GDSN easily because you can work with multiple products at the same time. Entering new items is simple and requires minimal data to get started. It would be nice if some of the training would focus more on just GDSN and not the commerce end for other retailers. I attended the training which was great, but it was focused more for Tru Value, Lowes, etc. I am in the food industry and we strictly work with GDSN. It is a great product, easy to learn and easy to get multiple tasks done at once, rather than going in one product at a time. Support team is very thorough and helpful. I started with no knowledge of the GDSN and with a little training from a co-worker I have been able to work my way to feeling pretty confident when entering new products and updating existing products. A lot of my success is because of the support team. Most problems that I am solving are pallet configuration and shipping errors. I have realized that most of the errors are not from Edgenet, but are on the end of the company that item was published to. Thank you for taking the time to review us. The feedback you provided regarding additional GDSN training has been passed along to our Customer Success team. Edgenet Academy was a great training experience. They walk through every detail of the system, and help the participants on a one-on-one basis. I enjoyed that they also opened time for suggestions on how to improve their system. In the spreadsheet provided to upload data, it doesn't signalize the possible errors until it is uploaded. Edgenet helps us to provide accurate and detailed information about our products for our customers, and the customer can use the information to make whatever decision they need. Edgenet can help to solve doubts about the product, to better promote the product and to also control better what type of product information is being shared. The Edgenet team seems customer focused and are easy to work with. Tool is easy to use compared to some other systems. A year later we still have not seen the results on the retailer site from work done on the platform. Logging into the portal can be slow. We've had a number of changing requirements that caused us to have to go back into the system and revise data multiple times. Error descriptions are not always descriptive and can be difficult to resolve. Research options from retailers and understand the timelines and multi-year investment needed. N/A Product information in system is not live yet. The Edgenet team would like to thank you for taking time to respond and share your feedback. We take customer comments serious as it’s critical to improving our overall customer experience and business, and helping us be the best product content management platform in the industry. First, we appreciate your observation about being customer focused. Our Customer Support and Customer Success teams are laser focused on delivering a customer-first experience, and strive to make each call meaningful and productive. It’s exciting to hear you feel our tool (assuming Supplier Portal) is easy to use compared to other systems. Our product and engineering teams work hard on our solutions and are always looking at ways to enhance the user experience to make it even better. Edgenet continues to work with manufacturers, brands and retailers to configure the Product Content Cloud to meet your immediate and future business requirements . We would like to address your specific concerns; therefore, please feel free to reach out to Matt Leigh at mleigh@edgenet.com and we will work with you to solve any issues that you are encountering. "Easy, customer-centric platform to manage data"
Most online data aggregators push requirements out from distribution/retail without concern for the downstream affects on manufacturers. Edgenet is always cognizant of how changes affect vendors and works with them to manage the process. Need more distributors and access to Home Depot. Ease of submitting and transmitting highly enriched data to large number of custoemrs. "Great Service, even better customer service"
Edgenet's customer service is something i've never experienced before, true customer service. Their customer service is always so knowledgable and always willing to help out to get answers you need. The software is not compatible with Apple operating systems, although that is likely to change soon. Easy to import new products with a retail partner or several. Price, the cost is more likely for retailers with a large product line. We are a smaller retailer so the cost isn't beneficial for us. Adding new products to current or new retailers is easy, seamless. Amazing communication and teamwork. Incredibly fun staff who makes the whole process easy. Complexity of the program. I feel it could be more compact. Sometimes making a simple change is like trying to kill a fly with a sledgehammer. Support is astounding. My company dedicated one person to meeting the Edgenet timelines and we met every milestone with ease. When we have issues they are addressed immediately. It's been a great experience. All of my data is valid, editable and in one spot. Priceless! "An intuitive tool that allows data suppliers to communicate effectively with data receivers"
The digital asset management has some areas for improvement. Being able to send data effectively. I love the support team at Edgenet, providing great insight and easy solutions to maneuver within their portal. By email or by phone, they respond quickly and are detailed in providing assistance. The portal can be slow when inputting data or maneuvering around the portal. Depending on the amount of items you are working with, the speed in which to input data can be frustrating. A number of my manufacturers have a tremendous amount of items and data. The benefits of being able to upload off line, or download off line has been a valuable time saver! "From A Longtime Edgenet User"
The Edgenet teams commitment to making sure our attribute and marketing data being supplied to AutoZone, is of the highest quality possible. The database is not user friendly. Uploading the Smartsheets is a pain, and general navigation is difficult. The Edgenet team is committed to working with companies using the Edgenet service, and AutoZone, to not only improve the processes, but to improve the working relationship with these companies. We want to make sure that our products are well represented out in the marketplace, and Edgenet has helped us to do that. "User Friendly, Customer Service Awesome"
The customer service is one of the best qualities. The user interface is intuitive. I do not like the fact it uses Microsoft Siverlight. We use it to upload our products information for syndication to various customers. Controlling the flow of information. * We monitor all Edgenet reviews to prevent fraudulent reviews and keep review quality high. We do not post reviews by company employees or direct competitors. Validated reviews require the user to submit a screenshot of the product containing their user ID, in order to verify a user is an actual user of the product. Hi there! Are you looking to implement a solution like Edgenet?